Anthony Arrobo usually creates artworks using tradicional art materials, such as paint and graphite, as well as inusual although natural matter associated to art, such as human tears. However, the artist treats these materials unconventionally, involving artistic procederes that at once test and expose their natural composition. For instance, a sphere made of condensed pulverized graphite is presented as a universe; a glass of his collected tears as a world. In Arrobo’s sculptures, everything is nature at the same time that everything is culture. These indistinguishable lines between the real and imagined could be a way to investigate cultural manifestations of the natural world –and, as such, of what is perceived and believed to influence our interaction with our environment. 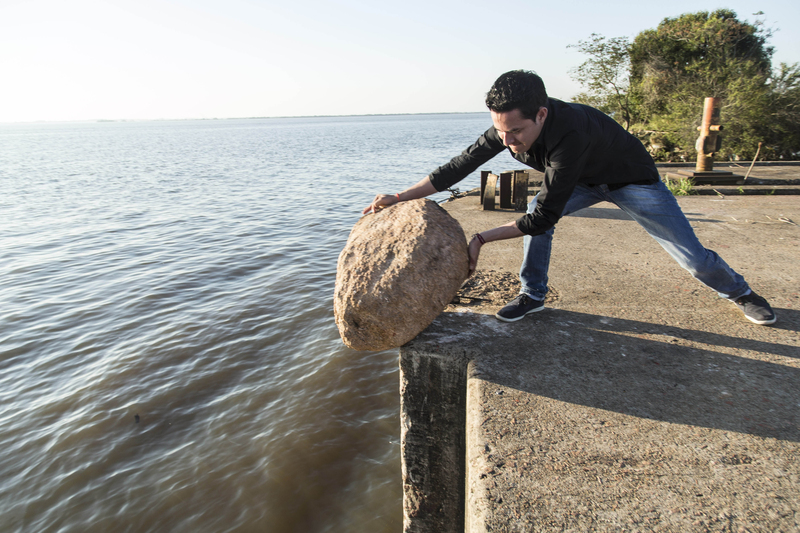 For the 9th Bienal, the artist creates a work in two parts. 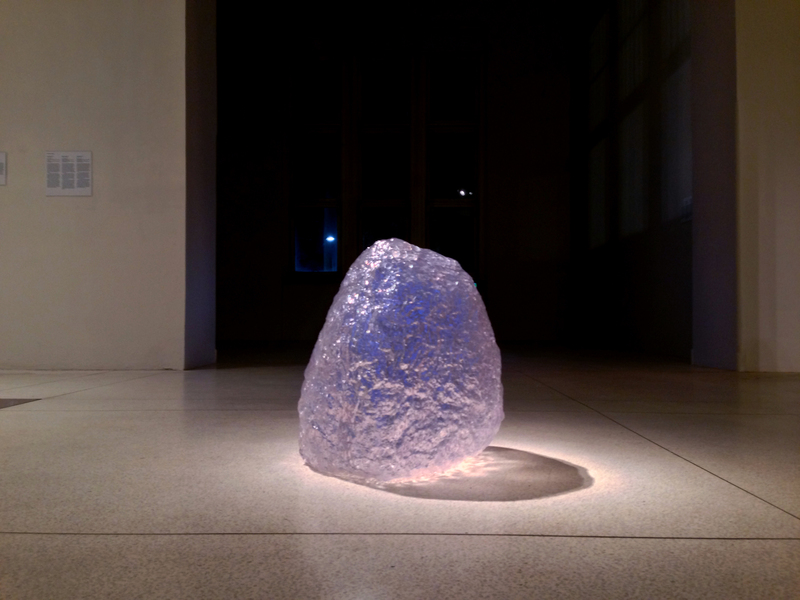 Here, one part is displayed: a sculpture in the form of a rock. The second part is the rock that this sculpture is cast from, located underwater in the Guaíba. The visibility of this artwork thus interdependent to its invisible source. Probably, the very belief of this source may involve symbolically turning this sculpture into a original rather than considering its a replica –approaching it like a soul, instead of a double.